Get $40 OFF the Holiday Long Player Tote! Who Wouldn't Love a Holiday? Our Herbivore original, The Holiday Long Player Tote, is a must-have for adventures of any size or season. Made of durable, water-resistant waxed canvas and vegan-certified Italian microfiber, the Holiday is sure to withstand any weather conditions with timeless style. 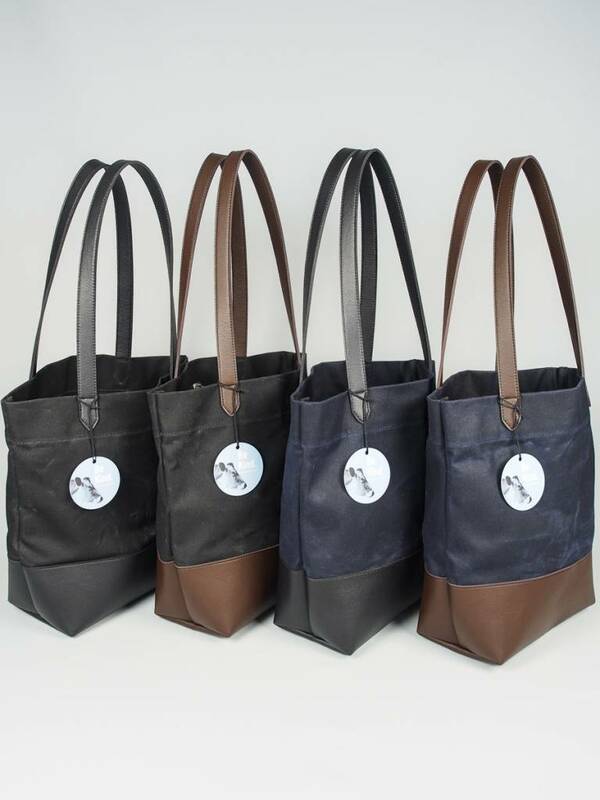 This gorgeous, vegan, locally-made tote is large enough to hold your laptop, planner, favorite books, water bottle or thermos, and wallet, with room to spare for your favorite Herbivore hoodie and hat. Pack the Holiday with a towel, sun-screen, iced tea, and sunglasses, and hit the beach! Call up your significant other or BFF, make a few veggie-wraps, grab a bottle of wine and a blanket, put it all in your Holiday Tote, and set up a picnic in your local park. With your purchase of the Holiday, you support the Portland vegan community of small businesses and awesome craftspeople. Plus, you'll make each vacation or mini-adventure all the more fabulous!